Join Savi Provision's proud selections of domestic, imported and craft beers. Each month their "Beer Guru" will select, from our large selection of suds, unique craft beers and or hard to find imported beers for our club members. From Seasonal beers to some of the most hard to find beers in world, Savi can get them. And, when they do, they will ferment together a special selection for you to take home each month. Each month, members receive two bottles of hand selected wines from around the world along with a cheese pairing. Every month we select wines from a different country in order to give our members an opportunity to experience not only different grape varietals, but different wine regions as well. All wines come in a gift box along with tasting notes and serving suggestions. 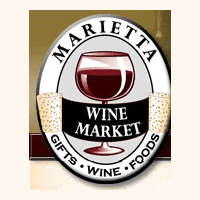 As a member you receive 10% off any wine purchase and 15% off gift merchandise. Benefits also include being the first to know about upcoming trips and events at our shop.